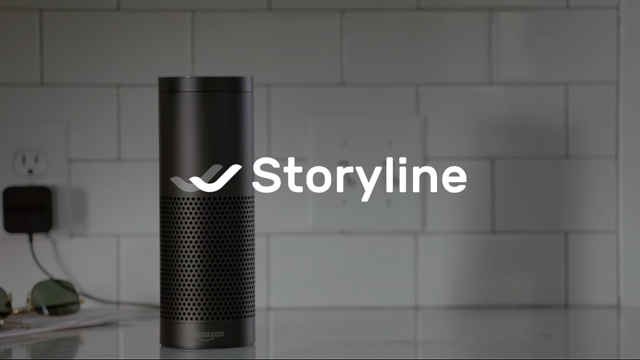 Storyline, a startup founded in September, has launched version 2 of its easy-to-use visual interface designed to help businesses, brands and publishers develop Amazon Alexa skills without the need for extensive coding knowledge. Since 39 million U.S. consumers now own a smart speaker, voice apps are needed, and Storyline hopes that its simple drag-and-drop solution will help foster that growth. The company refers to its approach as the “Weebly for voice apps,” drawing a comparison to the popular, easy-to-use, website-building platform. Storyline CEO Vasili Shynkarenka and CTO Maksim Abramchuk, both from Belarus, have experience building chatbots and voice apps for clients, which led to their creation of Storyline. Storyline launched in October 2017 and soon 3,000 accounts were opened. About 200 skills from these accounts made it to Amazon’s Skill Store. While other companies such as Sayspring also help build voice apps without code, the idea is that it is the first step in handing the concept to a designer or developer, rather than directly publishing the skill, notes TechCrunch. “Prototyping tools are great to play with and explain ideas, but it’s super hard to retain users by being a prototyping tool — because they use the tool to prototype and then that’s it,” suggests Shynkarenka. For additional details and video about Storyline v2, visit the blog post announcement.